If you’re a regular reader, you’ll have noticed my rate of posting has declined lately. This is because I’m working on a novel, my first venture into fiction in years. It’s science fiction and adventure; my effort to write a good story the kids will both enjoy and learn from, as I did in my youth. I have criticized modern “politically correct” science fiction for its grim view of progress and its conformist political content. This is my answer to books for young people like Pills and Starships. And the resemblance to Hunger Games is intentional — what Hunger Games gets right is that young people can remake the world to be a better place. The world of Red Queen is post-terrorist disaster, repressive and regimented — rather like China today, but poorer. In that sense it is a dystopia, though not so far from our own day and time; only a few steps beyond where we are now. The kids are cowed but not unaware, and they seize the opportunity to make a difference when their smarts and courage allow it. And so they change the world. I’m putting the first section out for beta readers. I’d appreciate any thoughts and error corrections you might have. The science gets more fully explained in the next section, for those of you into physics. I’m doing a Hugh Howey and publishing this myself. I’d be most interested in hearing from agents or publishers who are interested, but I expect to finish in three months and the legacy publishing timetable is simply too slow, even though a good editor would be very helpful. So I’m counting on you folks. If you read the first section, send me your comments at jebkinnison@gmail.com, and also email me if you want to be on the beta reader list for the full draft version. I apologize in advance for getting you interested and involved in the story, then making you wait to finish it! 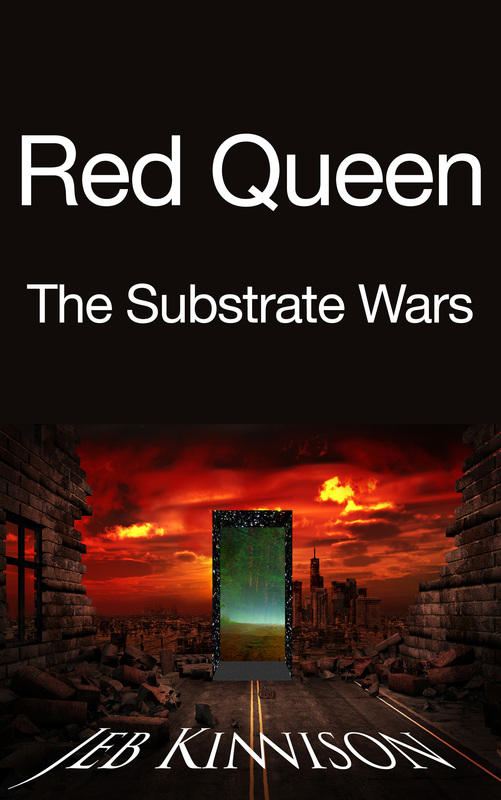 Posted in Books, Education, Memetics and Evolution and tagged pseudo science fiction, red queen, science fiction, substrate wars, YA fiction on November 12, 2014 by Jeb Kinnison.